A family orientated, friendly sailing club situated in Portsmouth, Hampshire. We offer facilities for both dinghy and yacht sailors, as well as rowers, kayaks and small fishing boats. We launch into the sheltered waters of Langstone Harbour, with a slipway that extends down to low water springs, enabling access to the water at all states of the tide. 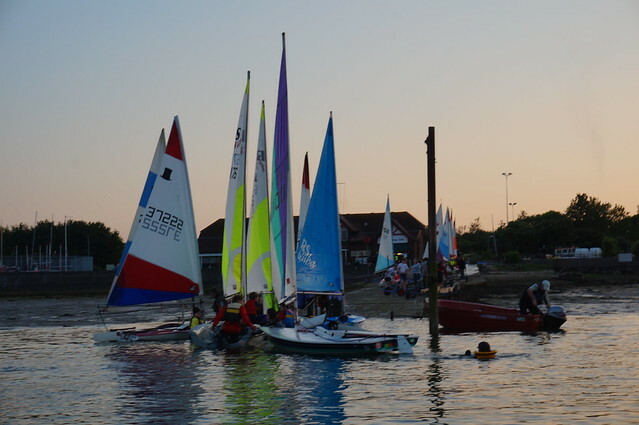 Are you interested in joining our fun and vibrant sailing club? Why not come along to one of our prospective members evenings are find out more about us. We currently have no joining fee, and reduced subscriptions, for those joining aged 25 and under.